Are you in the market for a newer vehicle, yet you are not quite sure if you can find the best pricing on models that you are interested in? Carson Cars is able to give you all of the selection that you could ever ask for and that comes along with a great number of quality used Acura cars for sale in Seattle. Whether you are buying a second vehicle for your household or you need to replace the vehicle that you currently have, the team at Carson Cars will be happy to explain to you just why Acura is the perfect brand to meet your needs. From the very moment that you drive onto the lot at Carson Cars, you are sure to be struck by the massive amount of inventory that there is on hand for you to browse through. With over 200 vehicles in stock on the lot at any given time, our team of professional salespeople will be happy to point you in the direction of all of the Acura vehicles we have for sale. Once you start to look around and you happen to find a few Acura models that you are interested in, you will be able to take them for a test drive. If you happen to find one that you fall in love with, we can then sit you down with the in-house financial team so that you can work on getting the best possible loan. Good credit, poor credit or no credit at all, we will stop at nothing to ensure you have the ability to drive away happy with a loan rate that you can afford. 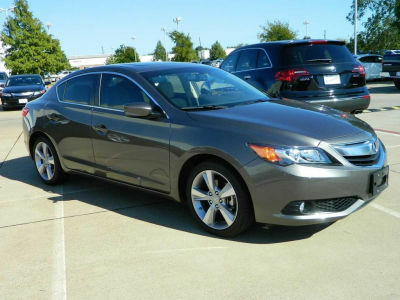 If you are interested in a newer vehicle, Carson Cars has a great selection of used Acura cars for sale in Seattle. Call (855)583-9356 today for information.